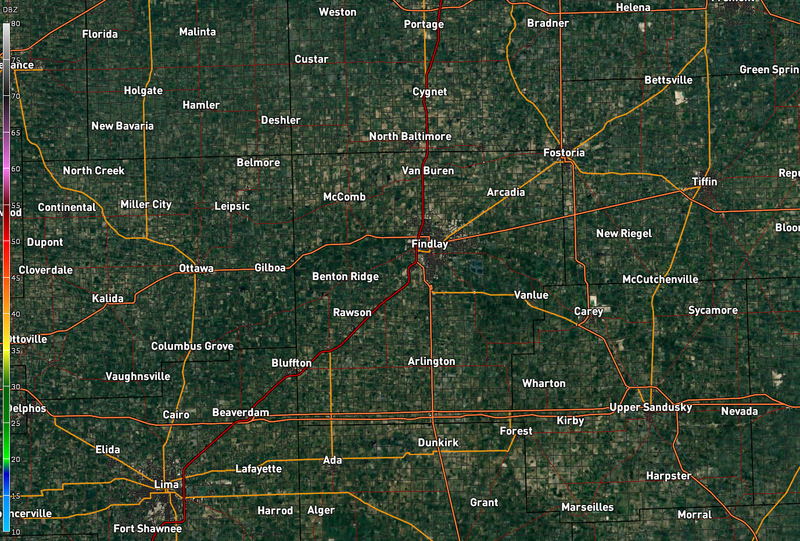 SATELLITE CHECK: Looking at this evening’s visible satellite, skies are mainly clear across the Findlay area and Hancock County. Cloud cover will begin to move in from the west tonight. 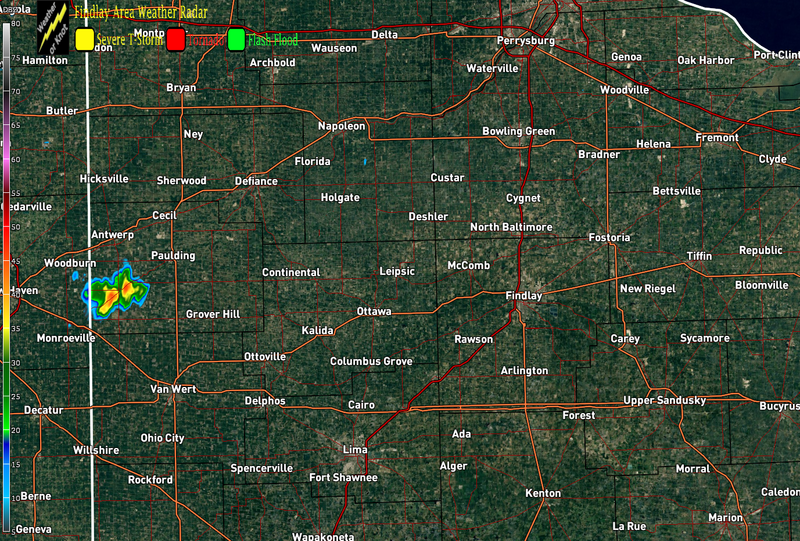 This will be due in part to showers and thunderstorms that are currently in progress across much of Illinois. TONIGHT’S FORECAST: For the remainder of tonight, an increase in the cloud cover is in the forecast. Temperatures will be warm. Plus, it will be humid as well. Overnight low temperatures are forecast to drop back into the middle and upper 60s. SEVERE POTENTIAL FOR WEDNESDAY: Wednesday will be featuring warmth and humidity levels that are fairly high. A strong low pressure area is forecast to move across the Northern Great Lakes through the day will bring chances for showers and thunderstorms Wednesday and Wednesday Night. As of right now, the Findlay and Hancock County area are only included in the marginal risk for severe weather, as defined on this afternoon’s Day 2 outlook from the Storm Prediction Center. However, given the strengthening of the low pressure area, along with some clearing of the skies occurring during the day, that will in part increase the severe thunderstorm risk. Do not be surprising if our area is included in a Slight Risk for Wednesday. There is the potential for two rounds of strong to severe thunderstorms Wednesday and Wednesday Night. The first round looks to be occurring during the late afternoon and early evening. Round number two looks to happen overnight with the passage of the strong cold front. As of now, the primary severe weather hazard looks to be from damaging straight-line winds. However, a tornado or two can not be ruled out either. Before the thunderstorms Wednesday, the temperatures will be rising into the lower and middle 80s for highs. Overnight low temperatures are forecast to fall back into the lower and middle 60s. The frontal passage, as of now, looks to occur shortly after sunrise on Thursday. As a result, cooler and drier air will be moving in. REMAINDER OF WORK WEEK: From Thursday through Friday afternoon, high pressure will be moving into the area. That will relax the weather quite a bit. Plentiful amounts of sunshine can be expected during the daytime on Thursday and Friday. Clear skies are in the forecast for Thursday Night and Friday Night. High temperatures Thursday will feel Fall like, in the lower to middle 70s. Friday’s high temperatures will be a bit warmer, with middle 70s expected. Low temperatures Thursday Night and Friday Night are forecast to drop back into the lower and middle 50s. THE WEEKEND, AND INTO NEXT WEEK: Fantastic weather can be expected for the upcoming weekend. Plenty of sunshine during the day, along with comfortable temperatures. High temperatures are forecast to top out in the middle to upper 70s. Saturday Night will feature mainly clear skies, with low temperatures falling back into the lower and middle 50s. Sunday night will feature a cold front passing through the region. That will offer low end chances (30 percent) for showers and thunderstorms. The start of next week will feature another high pressure area moving in. 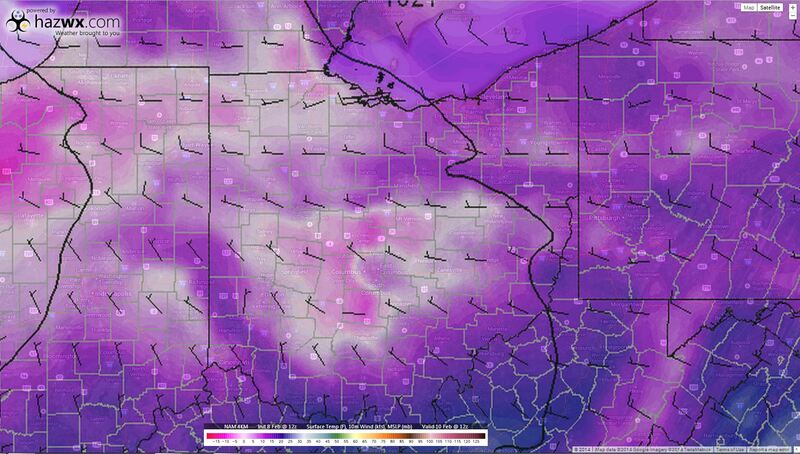 That will bring in another push of cooler and drier air. Once again, high temperatures the beginning of next week will be dropping back into the middle 70s. Look for the next weather update Wednesday Afternoon or Evening. Have a good rest of the evening! 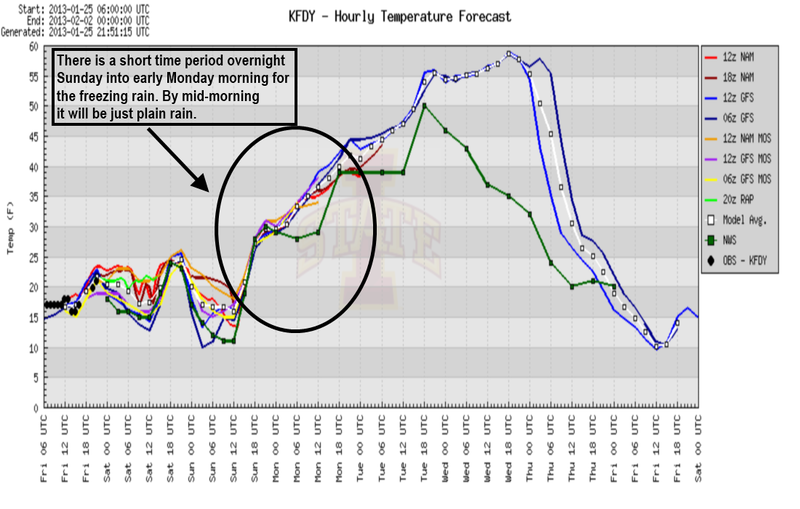 This graph here is courtesy of the Iowa State Meteogram. Notice the area I have encircled. That shows the temperatures will be rising. However, it will still be cold enough during that time period that we could be dealing with icing issues. 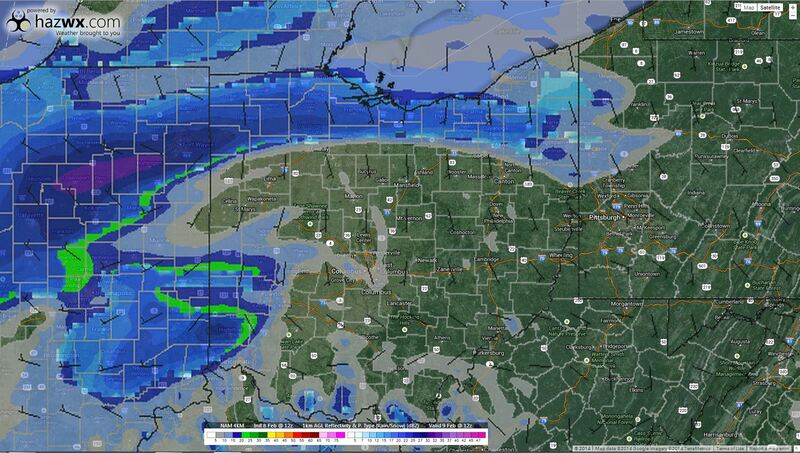 Other forecast model runs had indicated a potential major icing issue for overnight Sunday, into Monday morning. 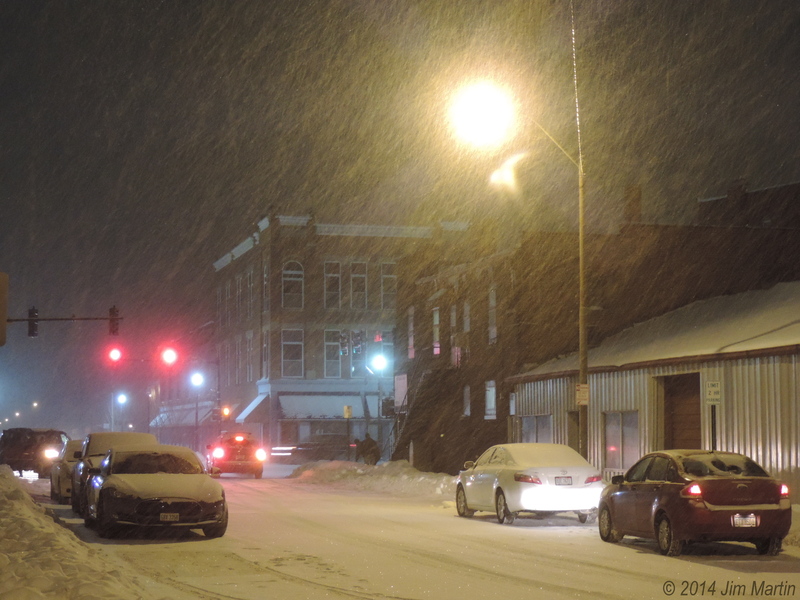 It was initially showing potential for ice accretion of over 1/4″. 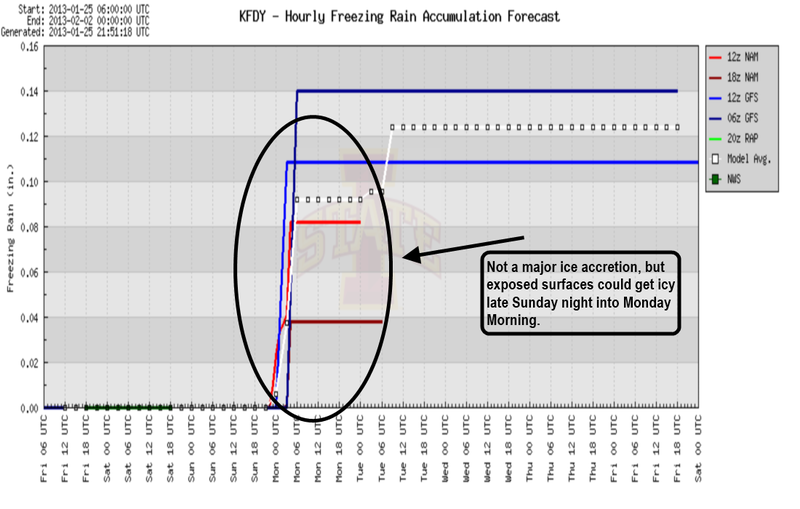 This particular model run is showing the potential for 1/10″ to 1/8″ of ice accretion. That is not a lot of ice. However, it does not take much to cause travel issues. This particular icing threat more than likely will end during the mid to late morning hours on Monday. This will be due to temperatures rising above freezing. We will stay on top of the situation here on the Weather or Knot Blog. Stay tuned. 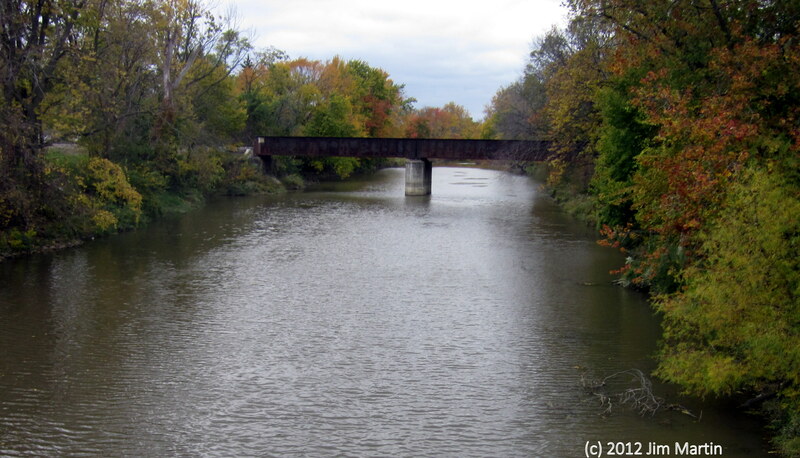 Great colors today along the Blanchard River in Findlay. Get out and enjoy the colors before the wind blows all the leaves away for the winter. Stay with Weather or Knot for the latest weather information. 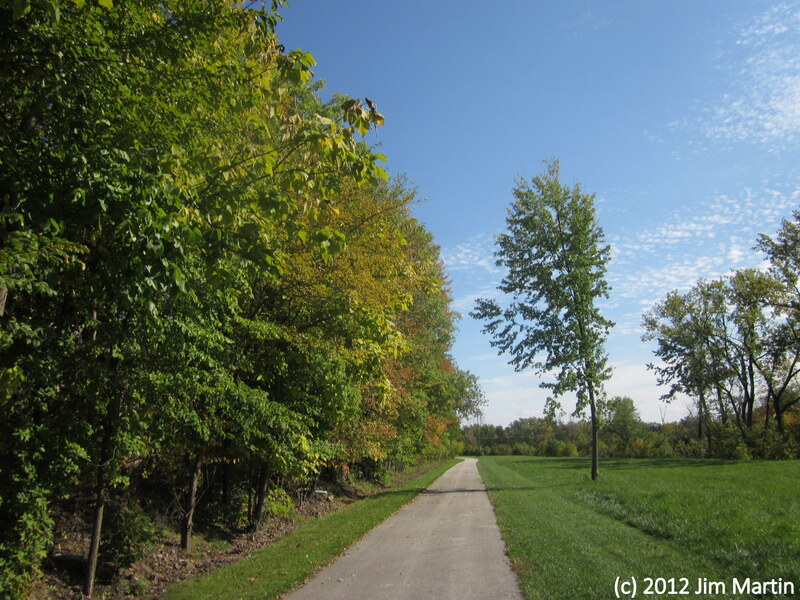 The colors of Autumn starting to settle in here behind the Blanchard River along the bike path here in Findlay today. This is a map not normally seen. 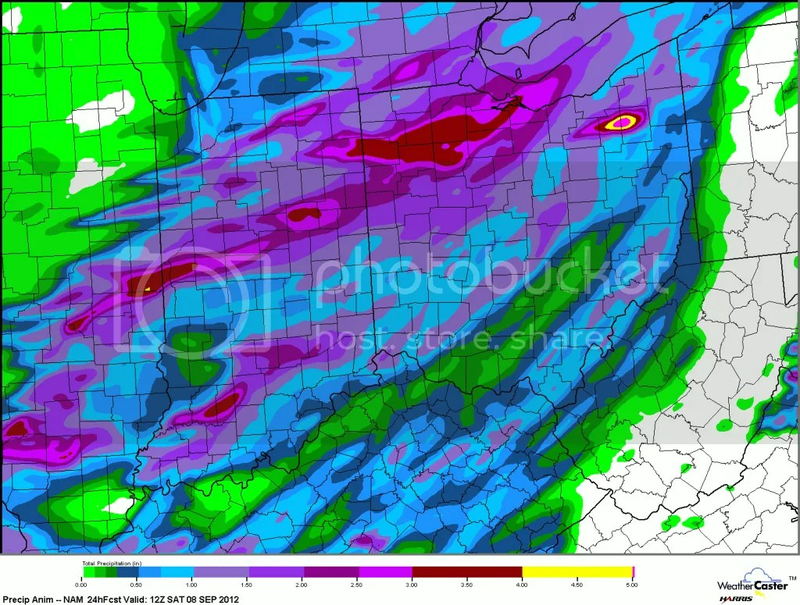 This is from the 12z NAM Friday morning showing the projected rainfalls totals by 8:00 am Saturday morning. The projected two to four inch rainfall estimates here may actually come to be. Plenty of rain to be had for the overnight hours across the region. 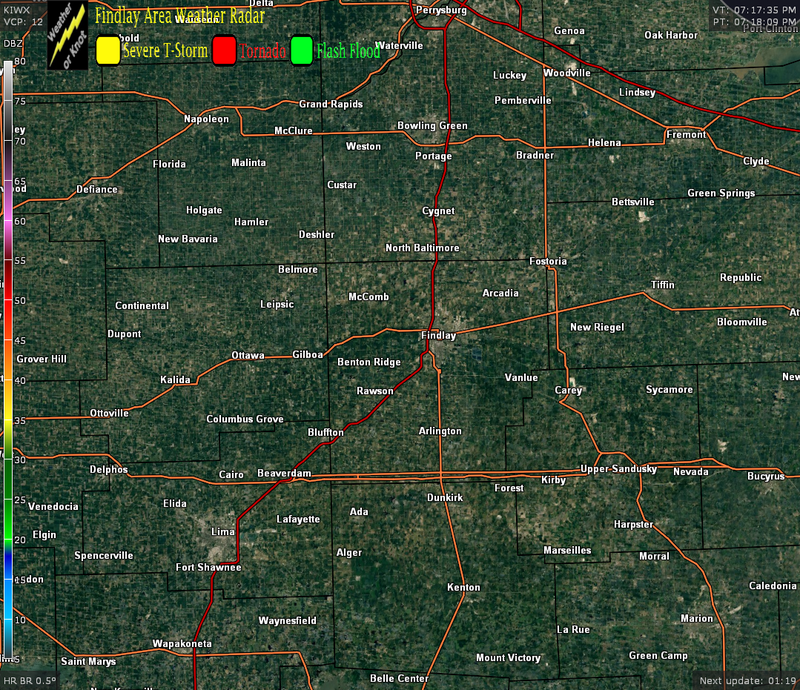 Some spots in northwest Ohio could be a tad higher.